Airline Jetstar Pacific. BL. PIC. Official site. Airline Dzhetstar Pacific (Jetstar Pacific). Official site. Low cost air lines Vietnam earlier - PacificAirlines. Year of appearance AK: 1991. Dzhetstar Pacific (JetstarPacific). 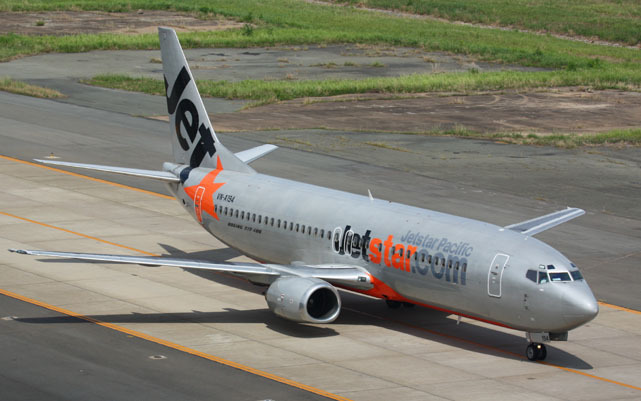 Official site: www.jetstar.com/vn. Main airports airlines: Ho Chi Minh City Tan Son Nhat, Hanoi Noi Bai. Airline mailing address: Vietnam, HoChi MinhCity, TanBinh District, Ward 2, 112 Hong HaStreet. City Airline Phone: + 8488450092. The airline has the following types of aircraft: AirbusA320, Boeing737-400. Here You can view other airlines in Asia. NCHU G20. Specifications. A photo. Aerospace ST4 Airtrainer. A photo. Characteristics.